A tin of tuna is a popular lunch choice as it is a good source of protein, cheap and shelf stable - perfect for your office drawer. A lot of people eat tuna for lunch assuming they are getting a serve of omega 3s – essential fatty acids. Omega-3s are called ‘essential’ fatty acids because they cannot be produced naturally by the human body - they need to be obtained from food. Omega 3s are are extremely beneficial to your health because they are anti-inflammatory - they can help lower cholesterol, reduce high blood pressure, and may reduce symptoms of arthritis and depression. On of the main sources of omega 3s is seafood and the Heart Foundation recommends that all Australians aim to include 2–3 servings of fish (including oily fish) per week to provide 250–500 milligrams of marine-sourced omega-3s per day. Tinned tuna is actually relatively low in this healthy fat – whereas tinned salmon is a really good source of omega 3. 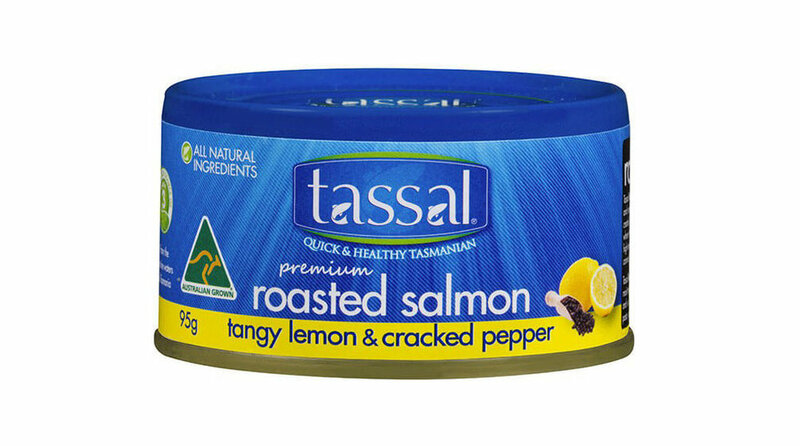 Looking at these top two tins – the Tassal Oven Roasted Salmon (lemon and pepper) contains 1.4 g of omega-3 which is 15 times the 0.095mg in the Sirena Tuna. The tinned tuna wouldn't really move the needle on hitting your omega 3 target. 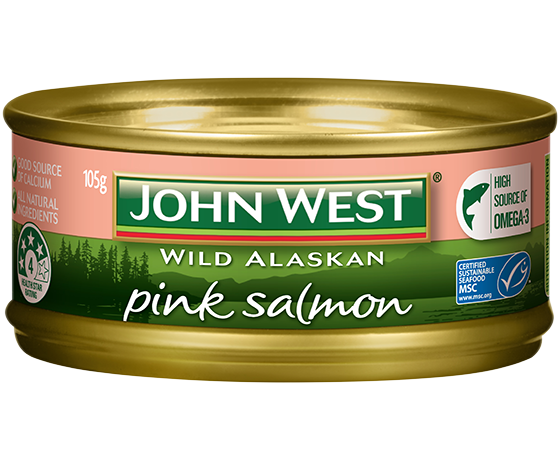 If you choose a tinned salmon with bones as well (such as John West pink salmon) you'll also get a serve of calcium - great for those who don't eat much dairy. Another great option is tinned sardines - however I realise they are an acquired taste! A tin of sardines such as Brunswick Wild Sardines in Olive Oil contains 1.3g of Omega-3 and 267mg of calcium which is more calcium than in a glass of milk. I like to serve them with a squeeze of lemon, a sprinkle of parsley, some avocado, watercress and tomato on a slice of rye bread. Concerned about mercury? FSANZ has calculated it is safe for all population groups, including pregnant women, to consume 2-3 serves of any type of tuna per week (canned or fresh). Canned tuna generally has lower levels of mercury than other tuna because the tuna used for canning are smaller species that are generally caught when less than 1 year old. Tell me - will you mix up your lunchtime fish now to up your omega-3s? And sardines - yes or no?